Quick to boil for a swift cuppa. Boils up to 1.7 litres water at a time. 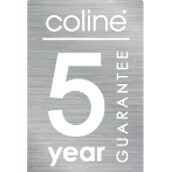 Safe buy – 5-year guarantee. An electric kettle is much faster at boiling water than using a saucepan on the cooker. It is great for making tea or coffee or for boiling water for cooking pasta or rice. Metal kettle in a trendy design. Features a boil indicator light that shuts off when your water has boiled to let you know that you have fresh hot water for making that perfect cup of tea or coffee. The lid can be opened easily with one hand by simply pressing a button. The jug holds 1.7 litres of water and has a window on the side so you check the water level. Boils enough water for one or several cups of tea. Equipped with automatic shut-off, less worry for you. The kettle also has boil-dry and overheating protection functions for additional safety. Due to the natural occurrence of calcium in water, limescale deposits may form in the kettle after some use. This is nothing to worry about, it might look unsightly but is not dangerous. However, for optimum performance and to improve its lifespan, your kettle should be descaled regularly. Handy tip: Buy a packet of descaling tablets and let them do the job for you. This stylish kettle is just one of the matching kitchen appliances in our Coline series.